The next question would be what are some of the things you need to consider before getting your Home or Commercial solar panel cost of a solar system installation, whether it is in Melbourne, Bayswater North, Lilydale,Warragul, Croydon or anywhere in rural Victoria ? Make sure the Solar Panel Company sales rep has Identification and if you can find out from the police if the person is of good character that would be even better. At Home Solar Panels we can supply you that when you have an obligation free consultation with us. We will show you how much money we can save you in multiple ways not just with the Solar Panel installation. With our expert analysis and accurate advice about the best design for your solar panel installation whether for your home or commercial premises we can help you make an informed decision. Call 1300 556 781 for a free quote now! We can work out the best solution and of a Solar Panel cost of Installation with our own Solar Installers. With our special programs including a solar panel mapping program this helps us to get the accuracy and the right advice to you about how your solar panel system should perform for your home or your commercial premises. 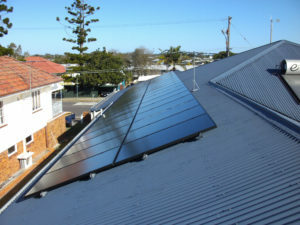 We will work out the best position for your home solar panels so you can the most efficiency out of your solar panels. Shade from trees and other things like chimneys and the direction and where the solar panels should face will be worked out for you. So you don’t have to worry we do! As you can see you can’t get an accurate detailed assessment over the phone in fact you should seriously consider taking their advice with a grain of salt. Remember this is dealing with a present and a long term future savings in mind, and your roof which is part of the most valuable investment you have. We be able to provide you with accurate estimates for your solar panel for our home or a commercial solar system payback time.We will give you a very good idea what to expect from your solar panel system in far as producing electricity. 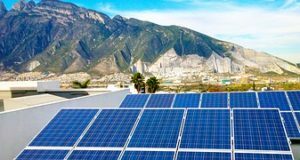 We do have various Solar Panels and Inverters whether for a solar panels for your or for a commercial solar installation, ultimately You will get what you pay for, and deciding to get cheap solar panels and inverters could prove to be a very poor decision in the end and in fact it could cost you more to fix than a very high end solar panel system. One of the main things that will help your decision is getting a good value system. At Home Solar Panels we will give some options to help you pick a good value system. Remember your solar system should provide anywhere up to 30 years of clean green solar energy.expertise. Also we genuinely believe we have the best installers in Melbourne and rural Victoria. 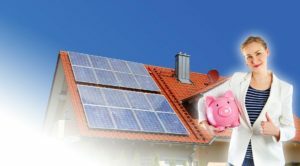 More Reasons Why you should go with us Home Solar Panels Melbourne? We are Victoria’s fastest growing Home and Commercial solar energy company . Why go with us because there is more complaints about Solar Panel installations to the ACCC than Telco companies and we have a special reason it won’t be us. (it is scary) Don’t be a victim it could cost you more by paying for a solar powered system that doesn’t do what it is suppose to. The special legal we have makes sure we do a good solar installation. Which do you prefer, a car you want that does what you bought it for or a car that is cheap and then you regretted you bought it because doesn’t do what you wanted it to do!! In a similar way do you don’t go to the $2:00 shop to buy something that will last you years? Of course not. You buy something that will do the job at a affordable price. Likewise, as with us Installing Solar panels on your valuable house we will put a quality solar system on at an affordable price that will do what you wanted it to do.